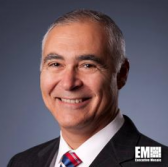 Al Grasso, formerly president and CEO of Mitre, has been appointed to the board of directors of NetScout Systems. He joins the board as a class I director and is expected to be nominated at the Westford, Mass., company’s next annual meeting, to serve a second term that will run through 2021, NetScout said in a May 3 news release. Grasso spent a decade as president and CEO of Mitre and continues to serve as a consultant and trustee at the nonprofit organization. “I am delighted to join such a distinguished board and share my insights and experience. I am excited about the opportunities in front of NetScout, which has assembled an impressive set of software-centric, feature rich ‘smart data’ solutions for its expansive global customer base,” Grasso told ExecutiveBiz Friday. “The combination of NetScout’s core service assurance solutions and Arbor’s security platform creates a unique opportunity to accelerate and secure digital transformations through real-time, pervasive visibility and actionable insights. This is an exciting time for the company and I believe its products and solutions will have a profound impact on government and industry in today’s increasingly connected world,” he added. Grasso is a member of the Army Science Board, Defense Science Board and the National Academy of Sciences’ government, university and industry research roundtable. He also serves on the Armed Forces Communications and Electronics Association International’s board as an executive panel member and permanent director, and on the board of trustees of the George Mason University Foundation. NetScout also announced the appointment of Susan Spradley, CEO of Motion Intelligence and a partner at Tap Growth Group, to the board.